DS New Super Mario Bros. (USA) in 26:27.5 by adelikat. 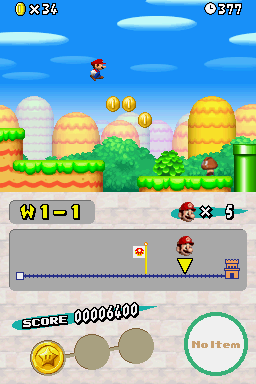 New Super Mario Bros. was released on 2006 for the Nintendo DS. It features your typical side-scrolling plumber, but in this case he comes with enhanced abilities, like wall jumping and doing flips.